Company growth relies on access to capital, strategic partnerships, customer exposure, mentor guidance, and more. Meeting the right people at the right time can make a company. That’s why we created Scale School: The GAN Post-Accelerator Program that curates the mentorship and connections that growth-stage startups need, all in the same place at the same time. What is the GAN Post-Accelerator Program? This exclusive program will help GAN Startups move beyond the startup phase by equipping them with the knowledge, tools, and connections needed for their next stage of growth. 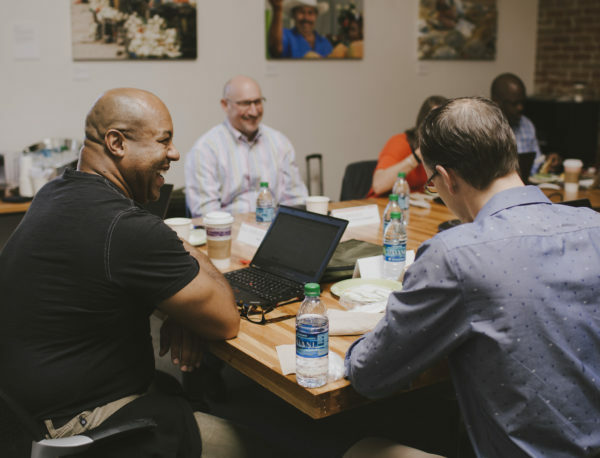 Scale School is designed to support and navigate startups through the process of operationally scaling their business while generating meaningful relationships with GAN Partners, mentors, and investors. Managing Directors from accelerators across the GAN Community will be the primary mentors for the program, and all startup participants must have previously completed a GAN Accelerator program. This program is open to those startups who have gone through a GAN Accelerator program and are beyond the initial ideation phase. You are now seeking further mentorship, strategic partnerships to generate revenue, and/or additional investment to effectively scale your business. This program will take place over three months and includes three one-week-long trips to Las Vegas for face-to-face meetings with potential partners, investors, mentors, and customers. Startups participating in the program will need to have proven traction and a solid product since graduating from your accelerator. What Should Startup Participants Expect? There is zero cost for startups to participate, and zero equity will be taken from them. This is yet another way GAN is supporting the next wave of startups from all corners of the world. Startups participating in the program will convene in Las Vegas, Nevada one week per month for the three month cohort, where they’ll receive mentorship, peer-to-peer support, and the opportunity to foster relationships with potential corporate partners, investors, mentors, and new customers. The first cohort will run from October 2017 to January 2018, and it will culminate in a showcase event in Vegas during CES 2018 (January 9-12, 2018). GAN will support participating startups with a stipend to help cover some of the costs of travel to and from Las Vegas during the program. Each week that is not spent in Las Vegas, participating companies will join an all-cohort call as well as an individual call with the Program Director. The program will be held at the RedFlint Experience Center in Las Vegas with our platinum sponsor The University of Phoenix and other GAN Partners. Programming will focus on company scale and growth, working with corporate partners, and how to raise capital for those who are fundraising. Our first round of applications are closed. If you have questions on the date of future Scale School cohorts, please write us.